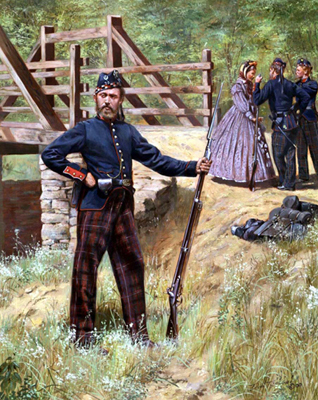 Civil War artist Don Troiani’s rendition of a Seventy-Ninth New York Cameron Highlander, who certainly never appeared this way on the battlefield. The plaid trousers, called trews, were, like the kilts they also sometimes wore, strictly for ceremonial occasions. 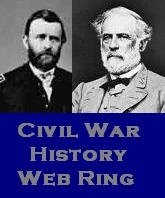 They did, however, sometimes wear their glengarry bonnets in a fight. Thus did my fictional Seventy-Ninth Private Abram Elliot tell his comrade Private Burton Laing in the Northwest Bastion that he had taken a bullet through his bonnet the night before the attack. “It was Elliot, come over in a crouch from my right to talk, which was his usual way. He dinna like being alone, the way we were posted so far apart in the bastion. I canna say I like it much neither. This entry was posted in "Knoxville 1863", Fort Sanders, New York Cameron Highlanders, The Northwest Bastion and tagged Don Troiani, Knoxville 1863, Seventy-Ninth New York Cameron Highlanders. Bookmark the permalink.